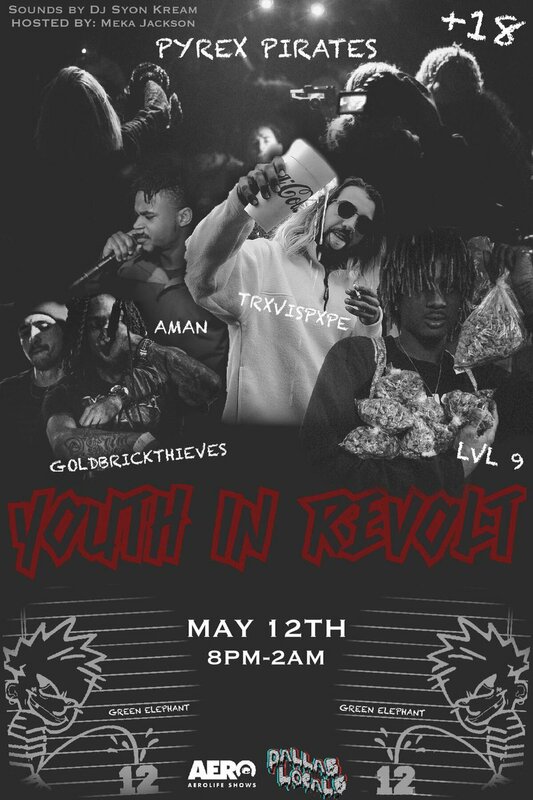 John Soda Live at Youth in Revolt May 12th! Headlines by Pyrex Pirates, LVL9, Aman, Trxvis Pxpe, Gold Brick Thieves & more! Sounds by DJ Syon Kream! Hosted by Meka Jackson! 18 Plus! Doors at 8pm! Text 8179448820 for vending or performance info!